JuicyBomb Second Life Fashion Blog - Launched in 2007, JuicyBomb is a Second Life fashion blog featuring reviews, tutorials, and events coverage. Juicy sim will go offline on April 26th, thank you to my friends for the best 12 years of sim ownership in SL! Visit my little corner of Juicy if you want to see it for the last time. Times are changing, and with the popularity of Linden Homes, I foresee a change in how people rent land as well. I have thought about taking a break from the rental business for quite some time, and with the recent launch of Bellisseria, it reaffirms that this is the right decision. 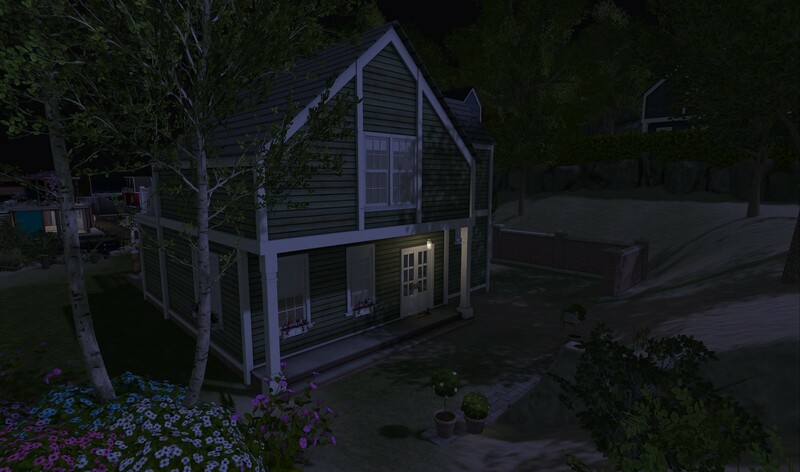 Once I found a buyer for Juicy sim, I upgraded my account to Premium to acquire a Linden home. I wanted to move into the same sim block with all of my friends, but the homes are randomly assigned. Aemeth got a home several sims away, and she did an amazing job decorating it. It’s near water, it has a (blocked by houseboats) view of the ocean, and my own little private beach! 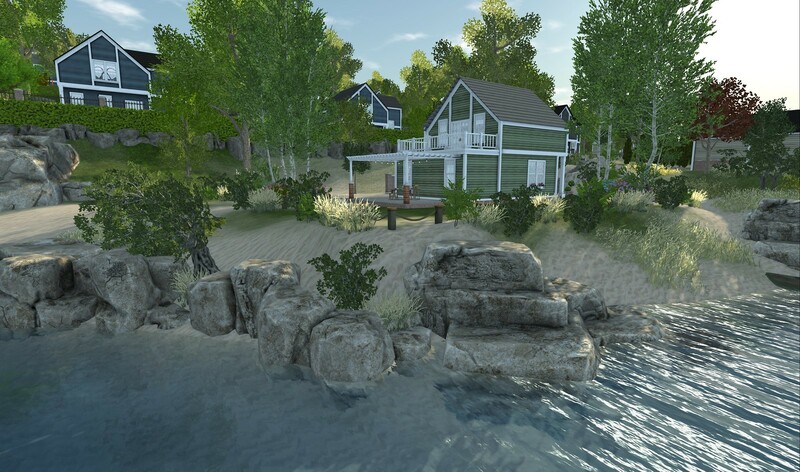 I’ve always had an unlimited amount of prims to myself, so it will be a challenge to decorate this home and landscape while staying within the 351-prims limit. If you figure out where I live… sail on by! I’m enamored by my little Linden home and community living with so many perks. 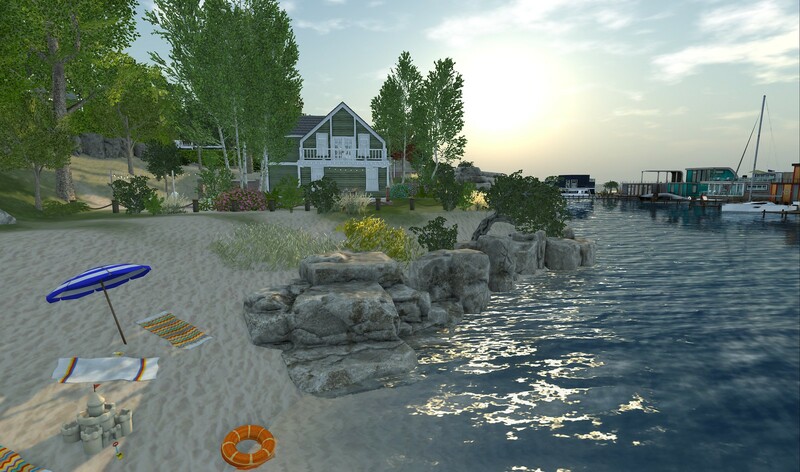 This premium slice of waterfront land, which would normally cost several thousand lindens, is free with premium membership! I love having roads I didn’t have to build, and going to community areas (pools) that I also didn’t have to build! How much does Premium Membership cost? I paid $72USD/year for my membership. I receive a bonus $1,000L cos I’m a first-time subscriber, and I will receive a $300L weekly stipend. That’s $15,600L in yearly stipend plus my $1,000L bonus = $16,600L (or $66USD) I get back from Linden Lab. My total cost for my home is only $6USD a year! 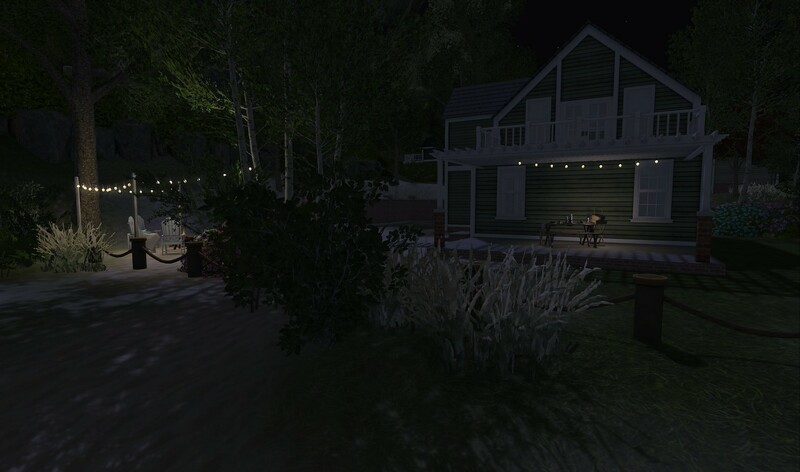 Did you get a Linden home this week? Do you think any of my predictions will come true? Let me know in the comments! “Hey Cake! Where’ve you been?” Drawing comics for money and enjoying life. I’m working on a comic book for a mainstream company now, so I’m pretty excited! That series will be released in August. Nationwide. I’m a pro now! But that’s not why I’m writing this, right? Let’s talk about Linden Homes! I managed to check these out when the Home and Garden Expo was running, and the preview was pretty cool. So when they were released, I hopped on the chance to snag one. Gogo and I registered around the same time, so I was hoping to get one on the waterfront like she did. Just so you know–homes are randomly assigned! BUT, all of these houses are landscaped very nicely. I didn’t get one on the waterfront, but I still love my house anyway. I don’t always play skin gachas, but I’m thrilled that Pink Fuel’s skin is for Lelutka! I’m wearing the new Emiri skin from Pink Fuel, available at The Epiphany. Available in 3 skin tones – Crystal, Latte, and Peach, so I guess only the most popular tones are available, to keep things simple. I’m wearing Peach here. This skin seems younger than Kiera, so if you’re looking for a more doll skin from PF, this is the perfect skin. Only $75L/per play, it’s an inexpensive way to try out a new skin!